I have been passing by this street where Tai Hong Kopitiam in Taman Pelangi is located, but always at night. The big green signboard of "Tai Hong Kopitiam" is very compelling and we can't help to be attracted by the restaurant. 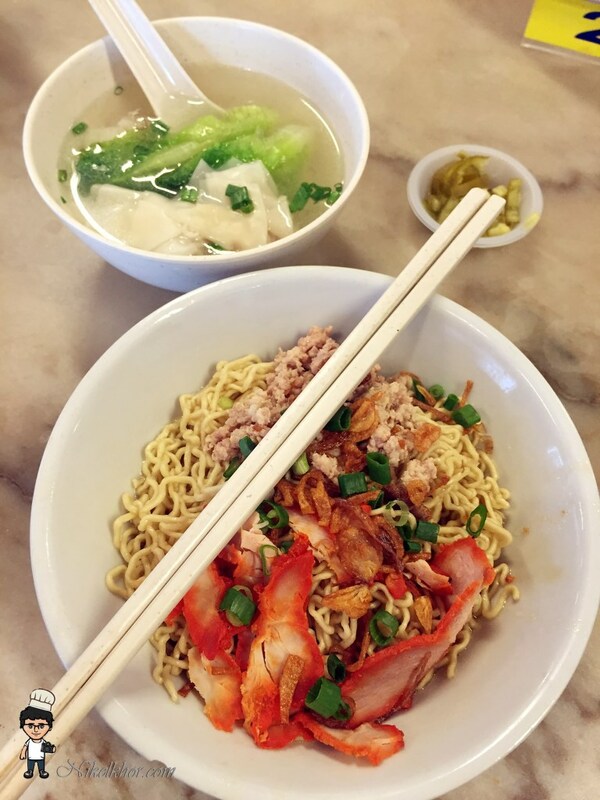 Tai Hong Kopitiam is famous with its Lei Cha (literally, grounded tea), one of the Hakka traditional dishes. Lei Cha is quite common in the southern Johor, due to the Hakka population here. I must say it is a very healthy dish, with assorted vegetables. and even more appealing with the peppermint and basil leave made soup. 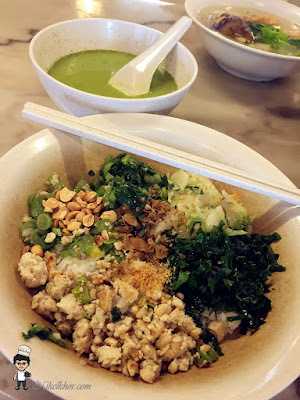 Although it is not a general favourite by all and some do not even dare to try the greenery soup, I find this a very delicious Hakka delicacy despite I am a Teochew. Other than the signature Lei Cha, Tai Hong offers wide range of other dishes too, to fulfill everybody's taste bud. I was surprised to Kolok Mee in the Menu and it has definitely made me feel nostalgic about the Kolok Mee that I had in Sarawak few years back. However, this version of Kolok Mee is slightly different from the one I tried at Kuching, which was of a drier version. 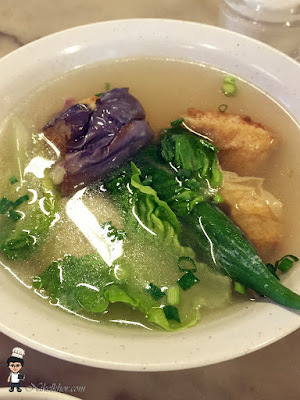 Tai Hong's has some gravy and is more alike to our wantan noodles. I personally still prefer the Kuching version. Patrons can have pick-and-choose Yong Tau Foo near the cashier counter too. 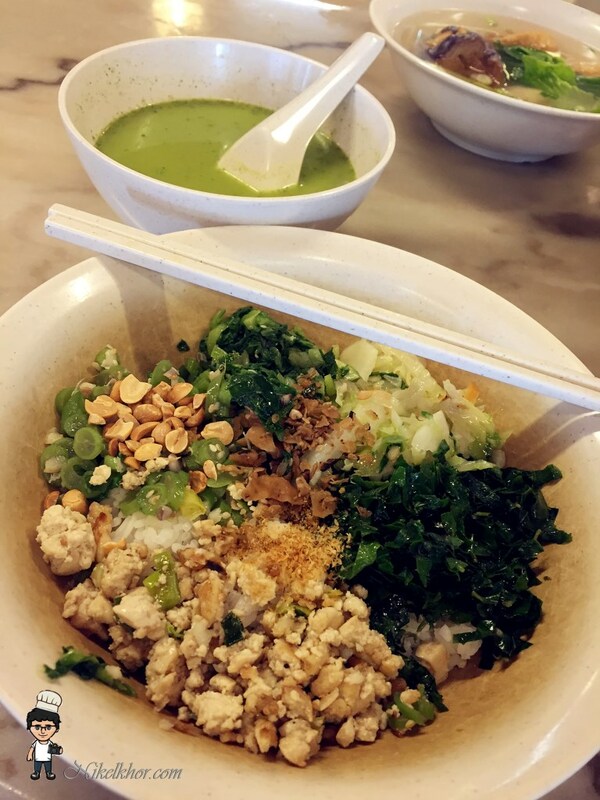 Just choose whatever you like and inform the waiter whether you want the dry or soup version, the Yong Tau Foo will be served to your table once done. We ordered the soup version and I think it is a wise choice, because the soup is made from soy bean. The nature sweetness from the soup matched very well with the Yong Tau Foo. Overall, it is a good place for breakfast or lunch, the foods were served pretty fast, so if you looking for quick meal, this place is highly recommended. With the wide variety of foods, I bet you will definitely find something suit you.